Passion & Provenance – Ceylon Tea is grown and produced according to uncompromising, traditional methods and standards since 1880. 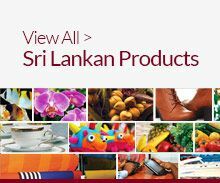 Sri Lanka is considered a model to the world across the value chain, from growing to production and from physical distribution to the most admired auction system in the world. Quality Certified by the Government -The name ‘Ceylon Tea’ and the famous Lion logo that goes with it indicates the tea grown, manufactured and packed entirely in Sri Lanka conforming to strict quality standards laid down and administered by the Sri Lanka Tea Board. 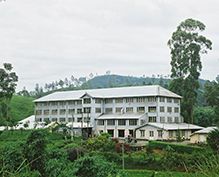 The Low Grown teas produced in Sri Lanka below 2000-ft sea level, are known for their superior leaf appearance ’uniformly black’, highly valued in the Middle East for its quality and strong - reddish brewed liquor. The High Growns, above 4000-ft sea level, on the other hand are known for their bright, coloury, brisk and aromatic liquors. 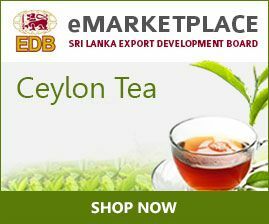 High grown Ceylon teas do not share the dense, black colour of the quality low grown leaf being browner in leaf appearance, but have unsurpassed liquors ranging from light, bright golden colour to deep red. 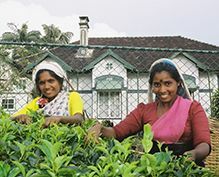 Ceylon Teas are Handpicked -The relative amounts of the polyphenols present in tea, the polyphenol oxidase (enzyme), the theaflavins, thearubigins, caffeine, essential oils, sugars, amino acids in the bud and the first two tender leaves will all contribute to the quality of the brewed liquor in a positive way. Hence the importance of traditional and disciplined picking of teas in Ceylon. The Cleanest tea in the world – Sri Lanka retains its position as the ‘Best in Class’ producer of Quality Tea, considered by the Technical Committee of the ISO as the cleanest tea in the world. ‘Ozone friendly’ Ceylon Tea- Sri Lanka has implemented various measures to comply with environment related international conventions & agreements and secured the place of becoming the first tea beverage to be certified globally as being ozone friendly. Ceylon Tea is Ethical – The Industry is well regulated with a unionized workforce that is governed by a collective labour agreement.